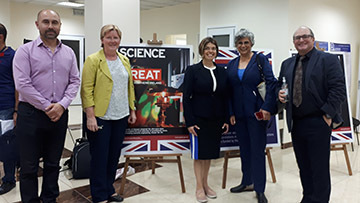 Freimann Professor of Physics Ani Aprahamian organized and chaired a day of talks on Low Energy Nuclear Science & Applications with the use of cyclotrons in Armenia. This was a part of a week-long international conference on “Correlations in Partonic and Hadronic Interactions” held September 24-28 in Yerevan, Armenia. In April 2018, Aprahamian was appointed as the Director of the Alikhanyan National Science Laboratory. 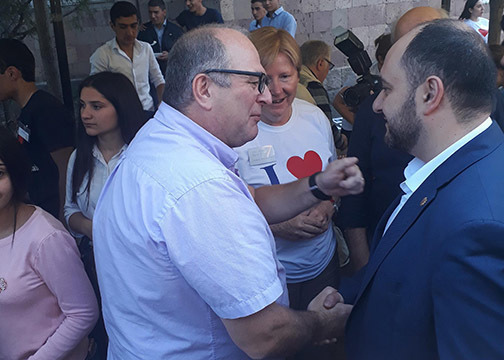 While in Armenia, Aprahamian also organized an international outreach program in honor of the 75th anniversary of the founding of the Alikhanyan National Science Laboratory, the former, Yerevan Physics Institute. 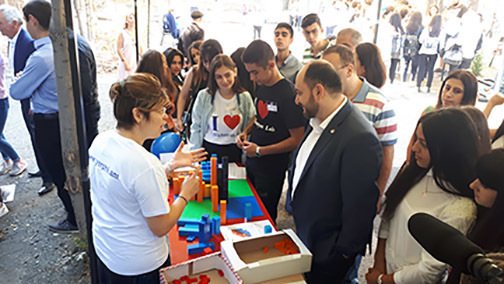 The outreach teams consisted of US, UK, German, and Armenian scientists who demonstrated more than 20 hands-on experiments to more than 500 children who attended the event. The US team was led by Dr. Micha Kilburn, University of Notre Dame, the UK team was organized by Prof. A.M. Bruce, University of Brighton, Prof. Tzany Kakolova, University of Birmingham, and Prof. Paddy Regan, University of Surrey, and the German group was led by Prof. Johannes Knapp of DESY. The event was attended by the minister of Science & Education of Armenia, the Chair of the Armenian Science Academy, and directors of various universities in Armenia. Prof. T. Kakolova of the University of Birmingham with Armenian students and the Armenian Minister of Science and Education, Mr. Arayik Harutyunyan, explaining the binding energies of nuclei. Prof. Paddy Regan, University of Surrey, and Mr. Arayik Harutyunyan, the Armenian Minister of Science & Education. Prof. Regan is a popular TV personality in the UK with expertise on radioactive poisoning and other nuclear physics aspects. 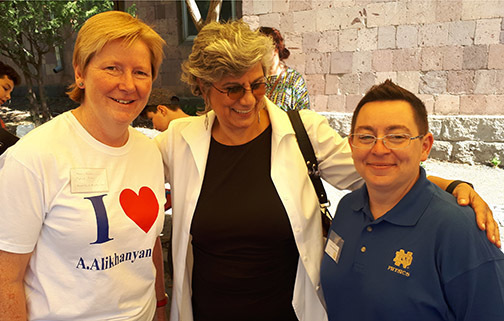 Prof. Alison Bruce, University of Brighton, UK, and Prof. Ani Aprahamian and Dr. Micha Kilburn, both of Notre Dame.